Currently working on our 2016 band schedule. Confirmed is Tim Lovelace, David West, Christopher Muncey, Masters 3. This year the Ladies are taking over the stage. Look for Pam with the Beasons, Melba, Amanda with Masters 3, Nancy with Wayne Burnette, Anna with the Ciderville Gang, Robinella, and Valarie Smith. All of these ladies have instruments in their hands. So proud of these girls setting examples for our young ladies. HUGE ANNOUNCEMENT! 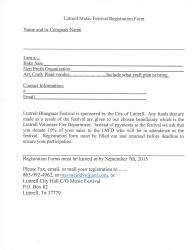 Valarie Smith is coming to the Luttrell Music Festival this year. 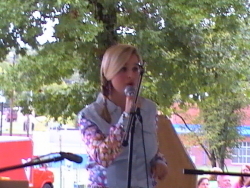 Valarie is a accomplished artist who has toured the US, Canada and parts of Europe. 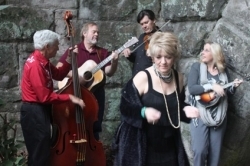 She has put out 7 CDs and is celebrated by a collaboration in the International Bluegrass Music Museum. 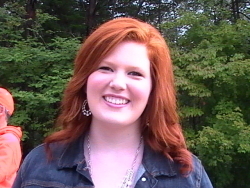 She has a degree in music education along with a passion to teach. She helped to create Bell Buckle Records and is bringing in Grammy winning musicians from as far as Baltimore. 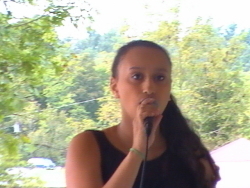 So proud to announce her as a performer at our 2015 festival on Sept. 19th. No major food vendors needed for 2015. Please notice the deadline. Not turning in a registration form will result in you not being allowed to set up at the festival. Calling me after the deadline and being mean does you no good either. I work for free. We are still in need of another Gator in good working order to assist us with shuttling elderly from one parking lot to another. If you are willing to volunteer, please contact City Hall at 865-992-0870. The Fritz boys are bring their Corn Ho boards again this year. Corn Ho competition starts at 11am. Thank you Fritz family. 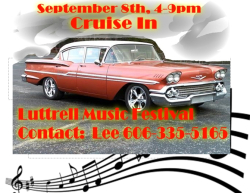 The Darrell Webb band will play at 1pm. 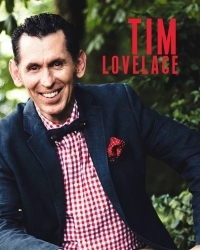 Tim Lovelace will perform at 2pm at the 2014 festival. 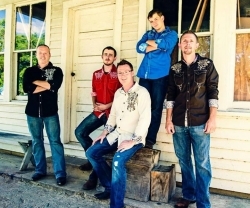 David West will play at 3pm at the 2014 festival. Tn Arts Commission helped bring our musicians to Luttrell with a grant. 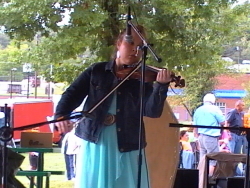 Kelsey Cate was our 2013 kids music competition winner. David West is coming to our 2013 festival. David has been in the music business for some time. 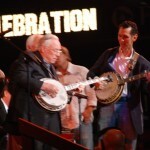 He has played with Chet Adkins. His music can be heard on the Dukes of Hazzard. He has even played at the White House. David is bringing some special friends. One friend he is bringing is Chicken Man. Chicken Man has been on Jay Leno and won America's Funniest People. 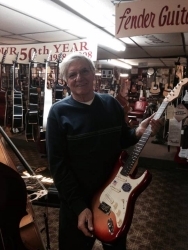 David West helps to keep the music of our heritage alive at his music shop in Powell, Tn. He also hosts the Cas Walker Farm & Home show which can be heard on 1380AM or watch the show on wyshtv.com Sat. 7:30-9pm. 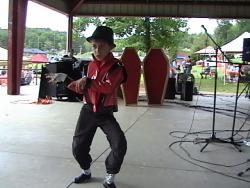 He invites everyone to come see his weekly show at Ciderville Music every Friday night from 8-11PM. His show is a pretty big deal. He keeps his shows wholesome so you can feel safe to have somewhere to take the whole family. Funny and talented. He plays banjo and guitar. Tim with Little Jimmy Dickens. Tim Lovelace will be performing at our 2013 festival. Tim is a musician and comedy act. You can see him on youtube.com or check out his website timlovelace.com . 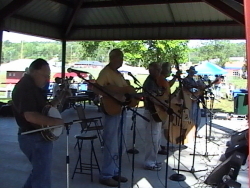 Don't miss the Bluegrass Festival this year. Lots of great items for our Silent Auction Dollywood Tickets - for 2 Wonderworks Tickets - for 2 Corn Maze Tickets Gatlinburg Tramway Ride and more on the way! Lots of Great Music and Fun! Gospel Strings. Our opening band.